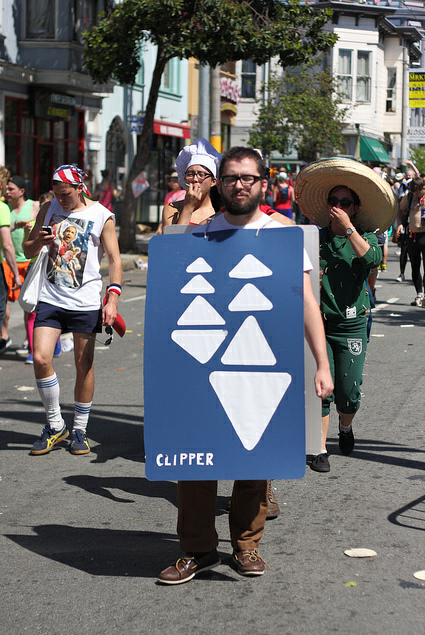 Wonder if this guy tried to scan his Clipper card costume on Muni? 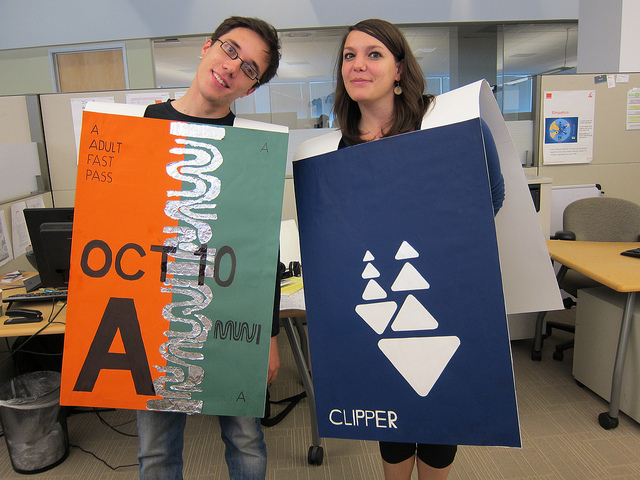 As much as I might detest couples costumes, we have to make an exception for this Dirty Thirty couple. 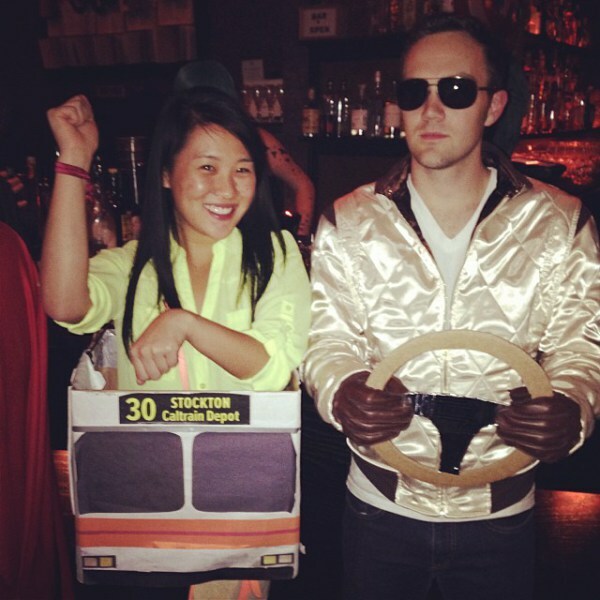 Wanna share your love-hate relationship with Muni with 200 fellow riders? 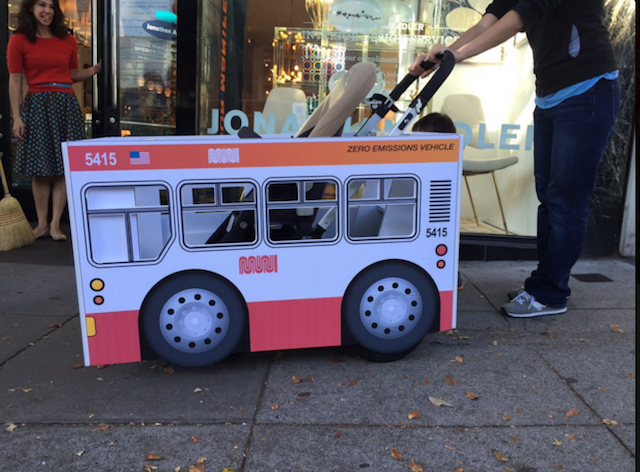 Muni Diaries Live is back on this Saturday, Nov. 3 at the Elbo Room. Help us give the Elbo Room a proper send-off! Tickets going fast. 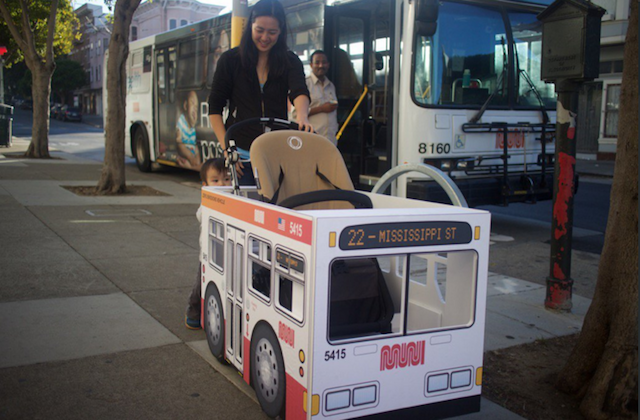 How’d these folks make the perfect replicas of Muni? My grandson would love one.